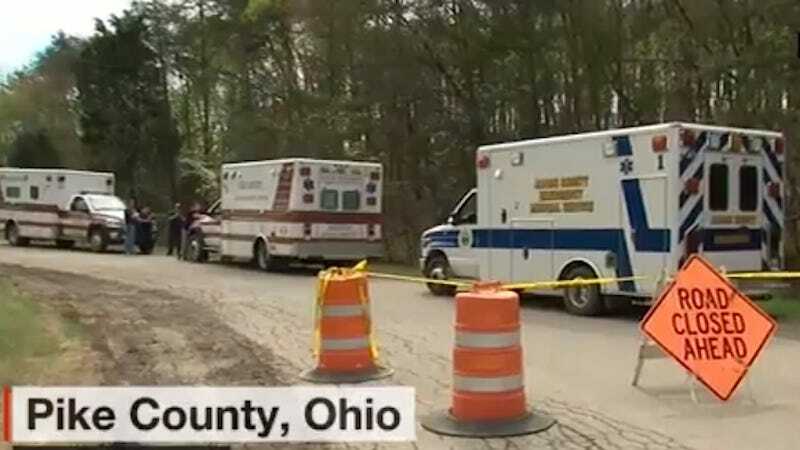 Eight members of the Rhoden family, who lived in a rural area in southern Ohio, were shot sometime during the night on Thursday, leaving three survivors. The victims were seven adults and one 16-year-old male. One mother was shot next to her 4-day-old baby, who survived, as well as a 6-month-old and 3-year-old child. The Rhoden family would like to thank everyone for all of the outpouring of prayers and support for their family... They asked that you continue to keep them in your prayers. They want to thank all of law enforcement from Pike County and surrounding counties for their immediate response - especially sheriff Charlie Reader, the Pike County sheriff - for all of his hard work.